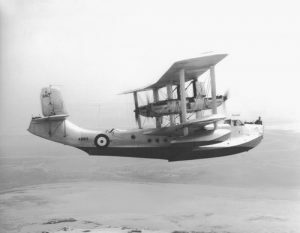 Photo Singapore 01: Short Singapore K6913 taken in flight during a routine patrol while in service with 230 Sqn based at Basra (Iraq). 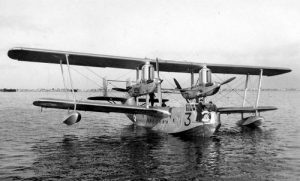 Photo Singapore 02: Two Short Singapores of 230 Sqn flying in pair, K4578 (coded 4) leading K4580 (coded 1), shortly after their arrival at Alexandria (Egypt) in October 1935. 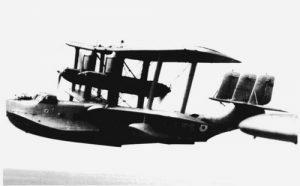 Photo Singapore 03: Short Singapore Mk.III coded 7, believed to be K8856, while in service with 210 Sqn in 1937, when the Squadron was temporary based at Areu (French Algeria) in connection with the Spanish Civil war. 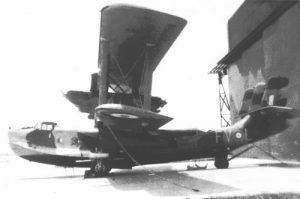 Photo Singapore 04: Short Singapore K8858 of 203 Sqn just after the introduction of the codes (PP-F) in 1938. Photo Singapore 05: Short Singapore K8856 of No. 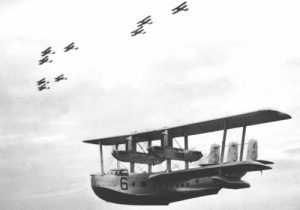 210 Sqn in UK in 1937. Photo Singapore 06: Short SIngapore K8565 of No. 4 (C) OTU in 1940. Photo Singapore 07: Short Singapore Mk.III K6912 of No. 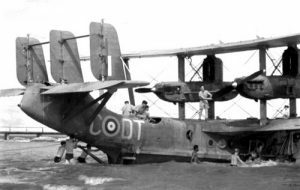 5 Sqn, RNZAF, Fiji, October 1941. Photo Singapore 08: A RNZAF Short Singapore under maintenance. Photo Singapore 09: Short Singapore K3593 at moorings. Photo Singapore 10: Short Singapore K3593 coded 3 of 205 Sqn in the Far East. 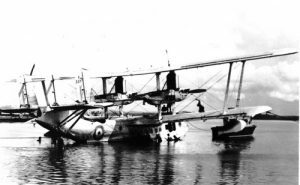 Photo Singapore 11: An unidentified Short Singapore Mk.III at moorings. Photo Singapore 12: Short Singapore Mk.III K3594 of 205 Sqn in the Far East. Photo Singapore 13: Short Singapore K3593 of 205 Sqn in the Far East. Photo Singapore 14: A New-Zealander Singapore Mk.III (K6912/OT-A) of No. 5 Sqn, RNZAF taken shortly after take-off. Photo Singapore 15: Short Singapore K6910 coded 5 flying over the Malayan countryside whilst serving No. 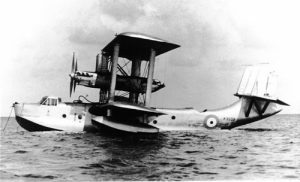 205 Sqn at Singapore. 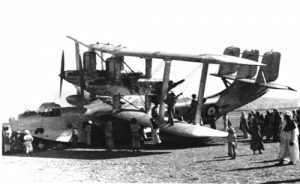 Photo Singapore 16: Another view of a New-Zealander Singapore Mk.III with an unofficial 5 Sqn (RNZAF) insignia painted under the cockpit. 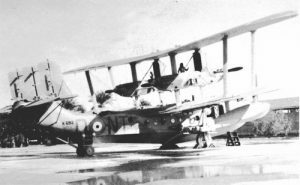 Photo Singapore 17: Short Singapore Mk.III K6918 of 205 Sqn, recently camouflaged with full codes painted on. 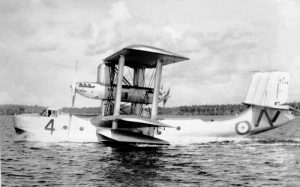 It was later transferred to the RNZAF as OT-D.
Photo Singapore 18: Short Singapore Mk.III K6917/OT-C of No. 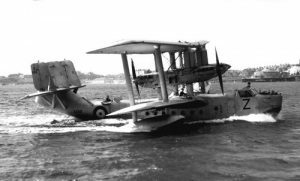 5 Sqn, RNZAF being pushed into the water. 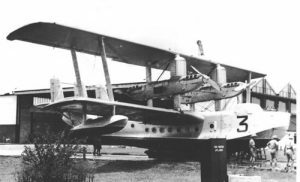 Photo Singapore 19: A Short Singapore Mk.III coded ‘6’ of No. 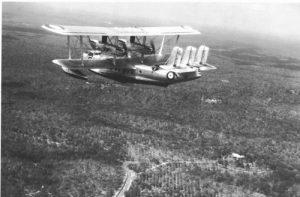 205 Sqn, based at Seletar (Singapore), taken in flight with Vickers Vildebeests in 1936. 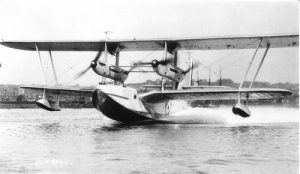 Photo Singapore 20: Short Singapore Mk.III K3592 during the take-off run. 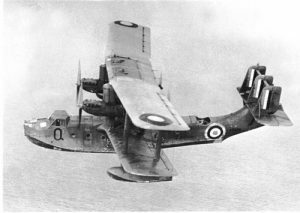 It was eventually struck off charge in December 1937 with close to 720 hours flown. Photo Singapore 21: Another photo of K3592 while in service with No. 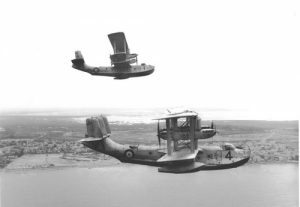 205 Sqn in the Far East. The only markings visible is the Clubs. Photo Singapore 22: Short Singapore III K6913/Y, believed to be from No. 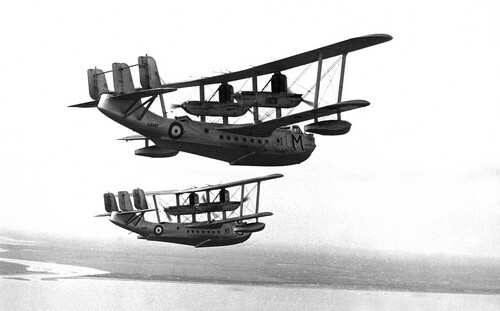 209 Sqn in 1936. Photo Singapore 23: At first sight, this photo of Short Singapore K3593 doesn’t bring much interest and was probably taken early in its career. 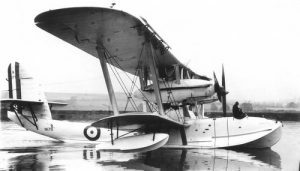 However, the presence of a Seahorse below the cockpit suggests that K3593 was used by 203 Sqn (the seahorse being the symbol of this unit’s crest), something that never officially occurred. 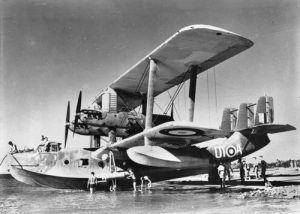 The presence of such a drawing is not explained, and might be only provisional and applied during the ferry flight to the Far East for delivery to 205 Sqn while making a stop-over in the Middle East where 203 Sqn was stationed. Photo Singapore 24: Short Singapore K3592, the first Singapore III. 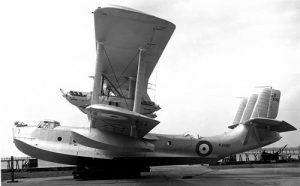 It would be struck off charge in December 1937 with over 700 hours on the airframe as time-expired. Photo Singapore 25: Short Singapore III K4581 served with Nos. 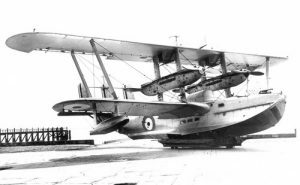 230 205 Sqns, before to be struck off charge in March 1938 as time-expired. It had flown 711 hours. Photo Singapore 26: An unidentified Short Singapore III taking off. 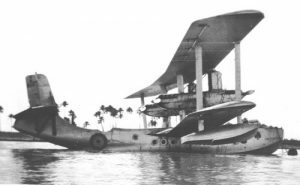 Photo Singapore 27: Short Singapore K3595, the last of the first four Singapore IIIs ordered in 1933. 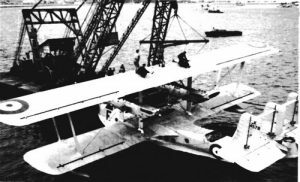 It was lost in a crash in Italy in March 1935, killing eight on board. 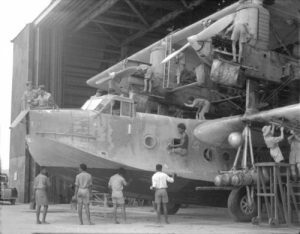 Photo Singapore 28: After the Munich crisis, the RAF began to camouflage its aircraft, including flying boats, and assigned squadron codes letters. 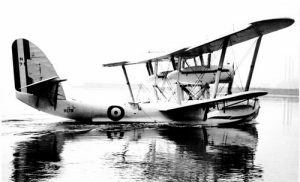 203 Sqn stationed at Basra (Iraq) was assigned the letters ‘NT’. Here K6912/NT-D.
Photo Singapore 29: Short Singapore K4578/K of No. 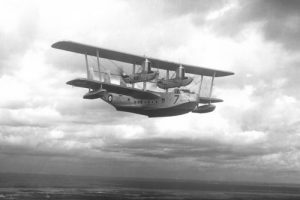 230 Sqn in 1935. 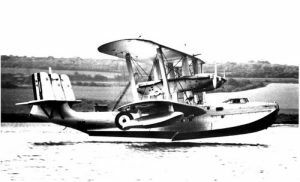 K4578 would have a long career with the RAF, being struck off charge in August 1942 only. 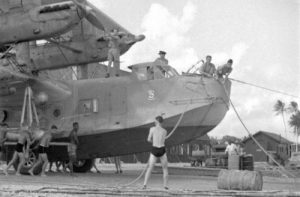 Photo Singapore 30: Short Singapreo K4578 of 210 Sqn while being lifted out of the water. It was allocated the letter ‘F’. 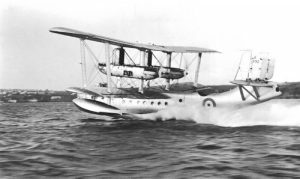 Its service with 210 Sqn was short, a one year period. Photo Singapore 31: Short Singapore K3594 seen used first number ‘7’ then ‘4’ with which it was lost in an accident in February 1937 taking the life of one crewman. Photo Singapore 32: Short Singapre K6919 served for a very short time with 240 Sqn, less than two weeks in July 1939, but was probably unused by the squadron. 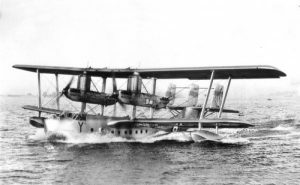 K6919 is seen here down on the shore, partially scrapped and lightened of some of its components like the engines and propellers, making us assume that it was serving as spare parts stock for the other Singapores of the fleet. Photo Singapore 33: Embarrassing situation for K4582 while serving with 203 sqn at Aden. 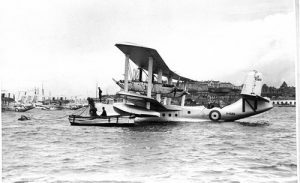 Nothing is known about the circumstances which obliged the pilot to make a force-landing on the sand. 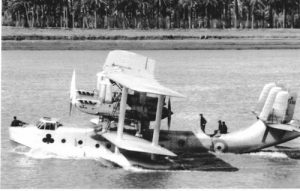 This incident is even not written on its movement card, but it is sure is that it was able to be repaired to flying condition. However, the next time, returning to the UK, it would run of luck and was unable to complete the journey, which was stopped in Italy. 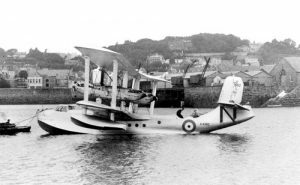 Photo Singapore 34: Short Singapore K4583 at moorings at an unknown location, but probably in the UK, just before leaving for Aden and logically in service with 210 Sqn. Note once again the lack of markings which reinforces that idea. Photo Singapore 35: Short Singapreo K8859, last Singapore built. It seved until February 1941. 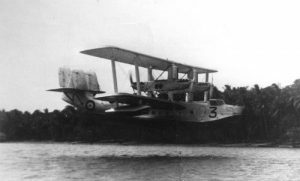 Photo Singapore 36: Short Singapore K6921 ‘Z’, of 209 Squadron, setting out from Mountbatten for anti-piracy patrols in the Mediterranean, 18 September 1937. 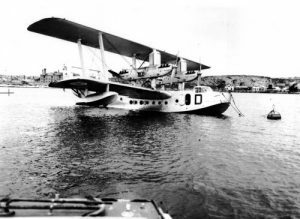 The Singapores were based at Kalafrana (Malta) for three months before returning to the UK. Photo Singapore 37: Short Singapore K3592 seen at MAEE in 1934-1935 without any particular markings. Photo Singapore 38: Short Singapore K8568 seen derelict at Feliwstowe, stripped of its engines and propellers. 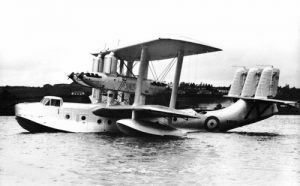 It had suffered a landing accident in May 1939, damaging the hull. 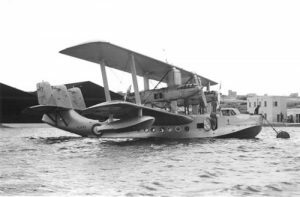 Considering the cost of ,repairs, it was left un-repaired and served as stock of spare parts for the remaining Singapores in the UK. 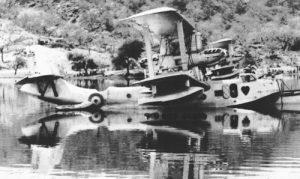 Photo Singapore 39: This photo of the Short Singapore K4582 is believed to have been taken during the ferry flight to Iraq for service with 203 Sqn, as no specific markings can be noticed on this Singapore at its moorings. If so, it could have been taken in September 1935. Photo Singapore 40: Singapores K8567/M and K6914/C of No. 209 Sqn flying in formation. 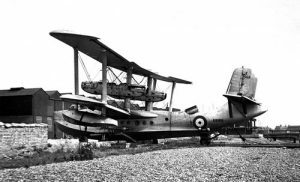 Photo Singapore 41: K6919 served with 209 Sqn during its career and wore the letter code ‘Y’ . 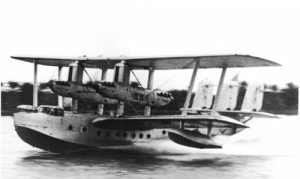 It is seen flying in astern formation, being the last of the line, probably for display or a ferry flight as the Singapores had no operational tactics requiring such flights. 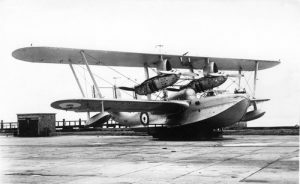 Note the upper wings have been repaired and the mechanics have still to repaint the roundel which has been partially cut. Photo Singapore 42: Short Singapore III K8858, first began its operational career with 203 Sqn at the end of 1937. Note the squadron emblem, a seahorse in the six-pointed star. Photo Singapore 51: N246 taken from three-quarter front view at the end of its career. 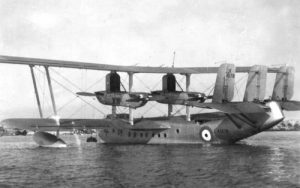 It is now very close to what the Singapore will be, and seen from a distance N246 can be easily mistaken for a Singapore III. 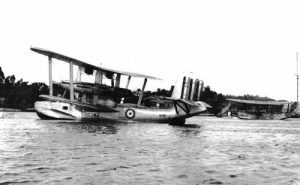 Photo Singapore 53: N246, moored at Mountbatten while on service trials with 210 Sqn in 1932. 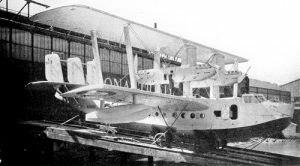 The Saro A.7 Severn, N240, also acquired for trials, can be seen in the background. 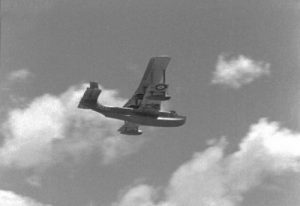 Photo Singapore 55: The second Singapore, the four-engine N246 seen while taking off early in its career with a single tail as used by N179, and still with an open cockpit and no ailerons on the lower wings. 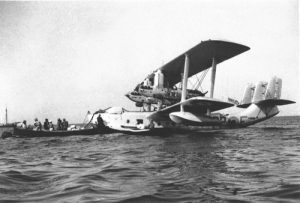 Photo Singapore 61: The first flying-boat named ‘Singapore’, N179, sailing slowly to its moorings. 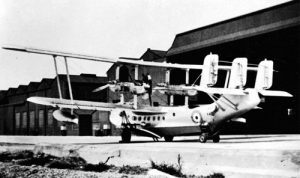 It was the only Singapore Mk.I built, not because it was a bad aircraft, but only because the Air Ministry had changed the specifications. 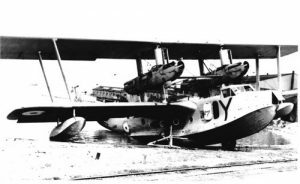 Photo Singapore 62: Another view of N179, and its silhouette shows that this design was mid-way between the WW1 flying boats and the next generation to come. 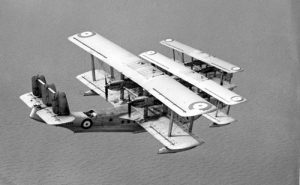 Note that N179 is shown here in its final form with Rolls-Royce H.10 Buzzard engines and Handley Page auto-slots on the upper wings. Note the name ‘Singapore’ written on the bow. 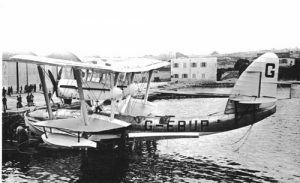 Photo Singapore 63: N179 was used by Alan Cobham in civil guise as G-EBUP for a survey flight round Africa. This entry was posted on March 10, 2014 by Administrator.